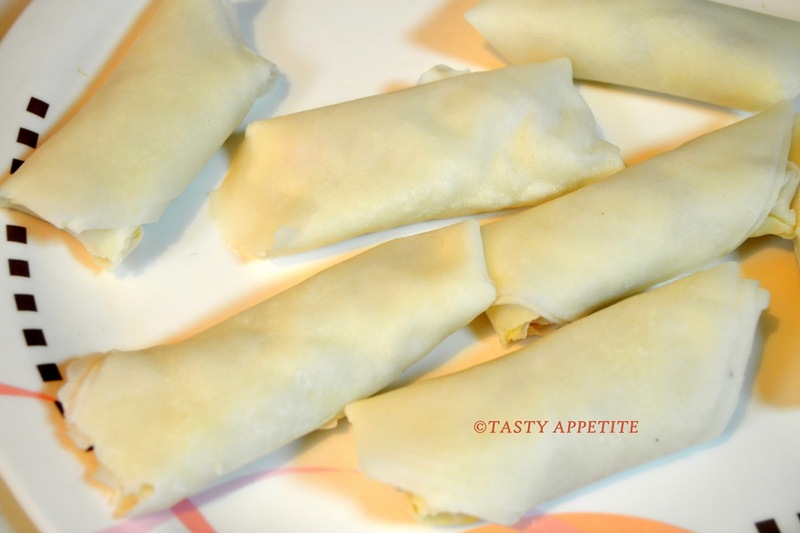 Today, we’re gonna see how to make delicious Asian style appetizer, Egg rolls in minutes. 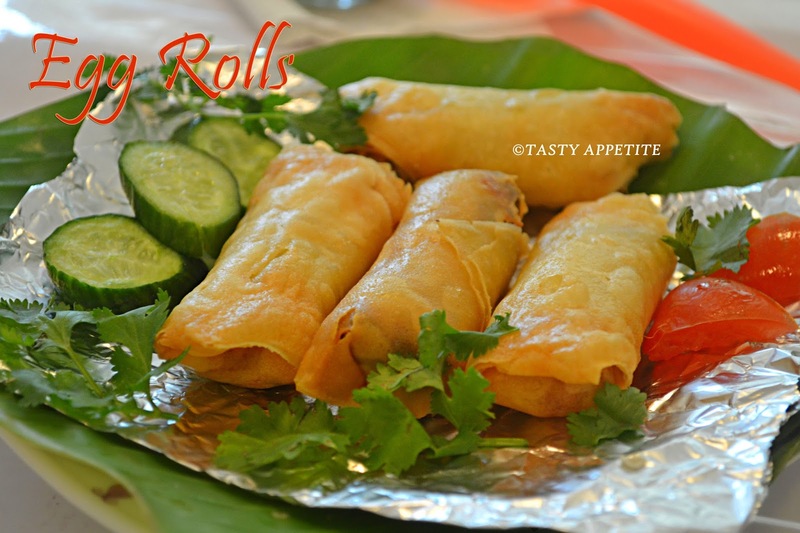 My kid loves Egg rolls and a while back I started preparing them myself and found out it was absolutely easy. 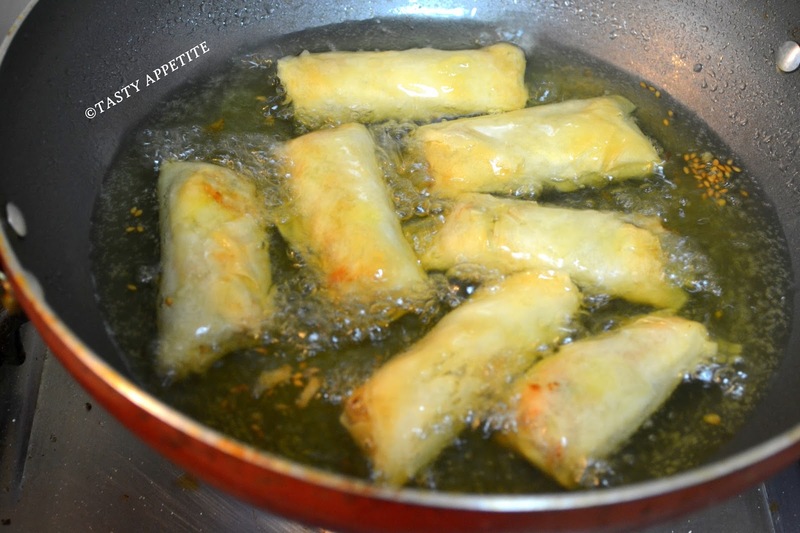 And now this recipe is our family favorite...! It makes a delicious compliment...to any meal or snacks. 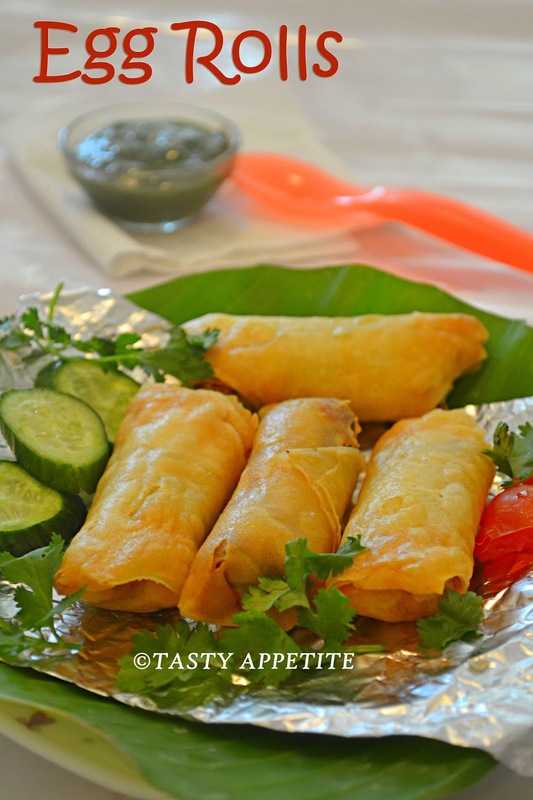 Try this tasty recipe and impress your guest with crispy homemade Egg rolls. Lets get started...! 2. 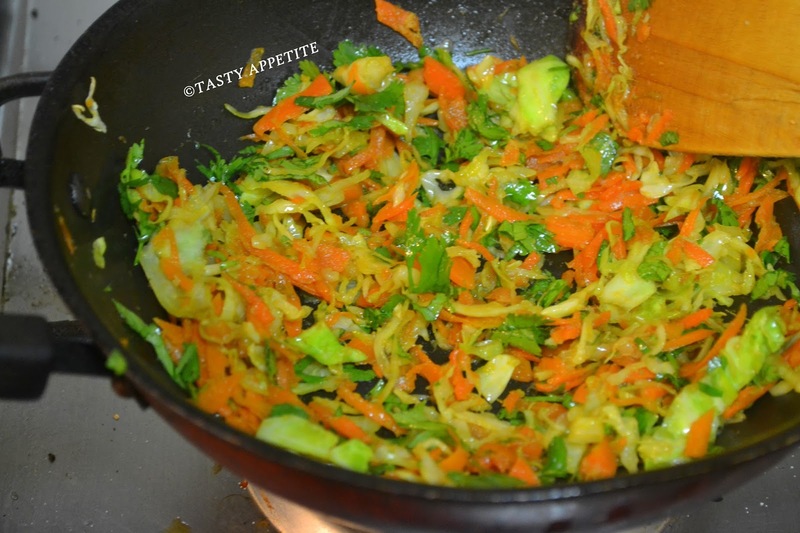 Add ginger paste and saute for 30 seconds. 4. Toss well in high flame for 2mins. 5. Add soy sauce, little salt and mix well. 7. 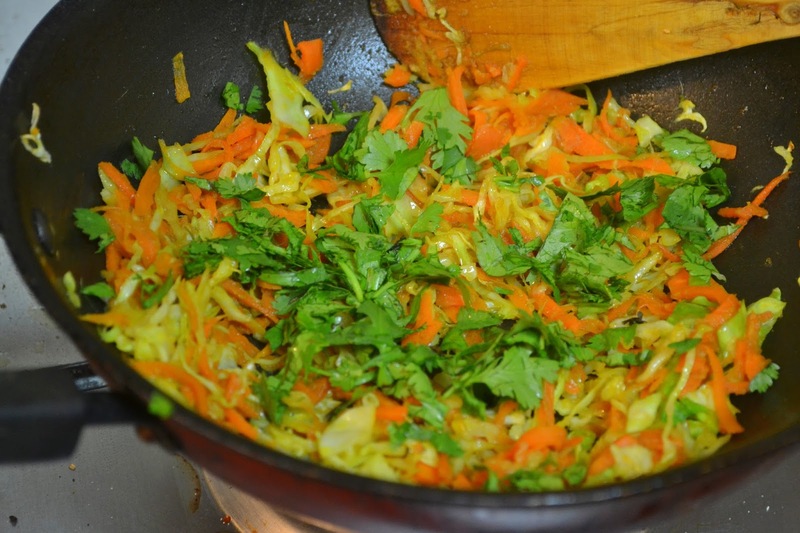 Add freshly chopped coriander leaves and stir. 8. Allow the mixture to cool. 3. 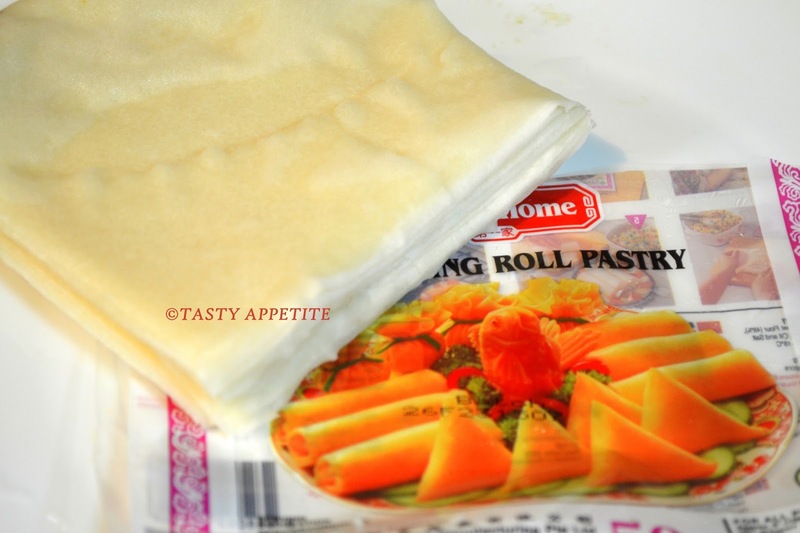 Also you can use beaten egg to seal the edges of the egg rolls. 4. 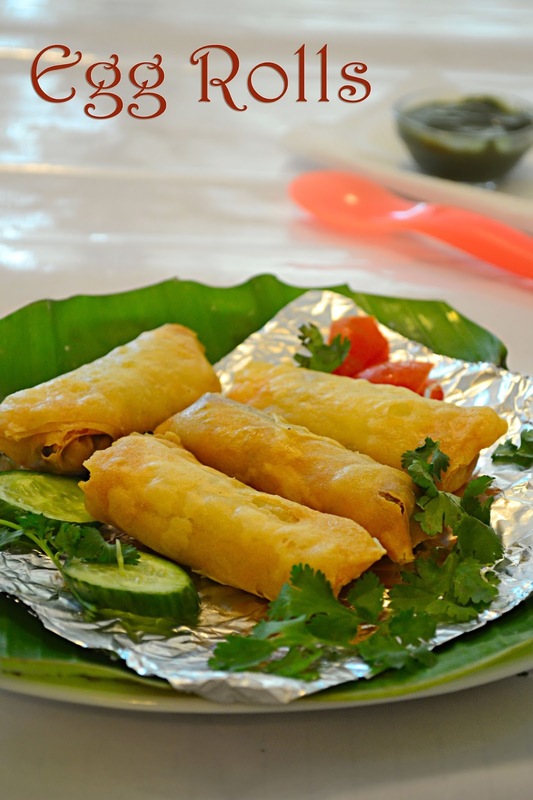 Position an eggroll wrapper with one point toward you and cover the rest with damp cloth to avoid drying up. 5. 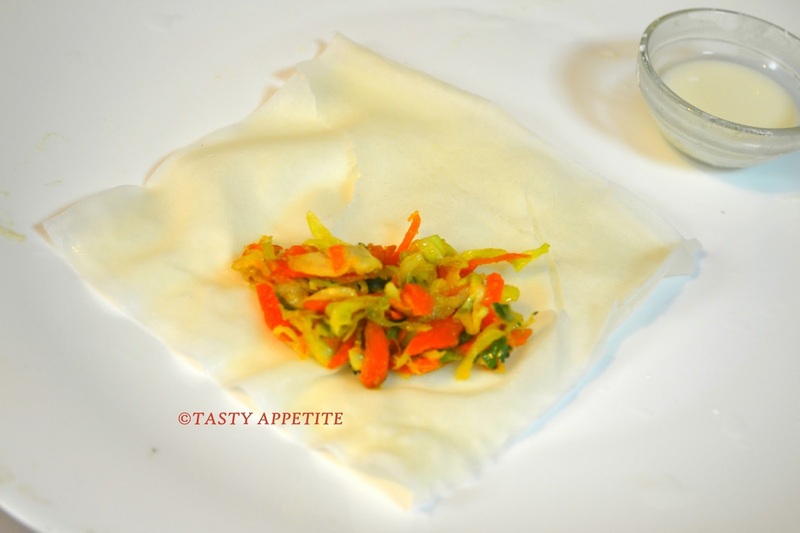 Spoon one tsp of veggie mixture at the centre portion of the bottom corner of the wrapper. 6. Fold the bottom corner over filling. 7. Now wrap and roll around tightly as shown in the below pic. 8. Seal the sides with corn starch paste. 9. Now keep it aside. 10. 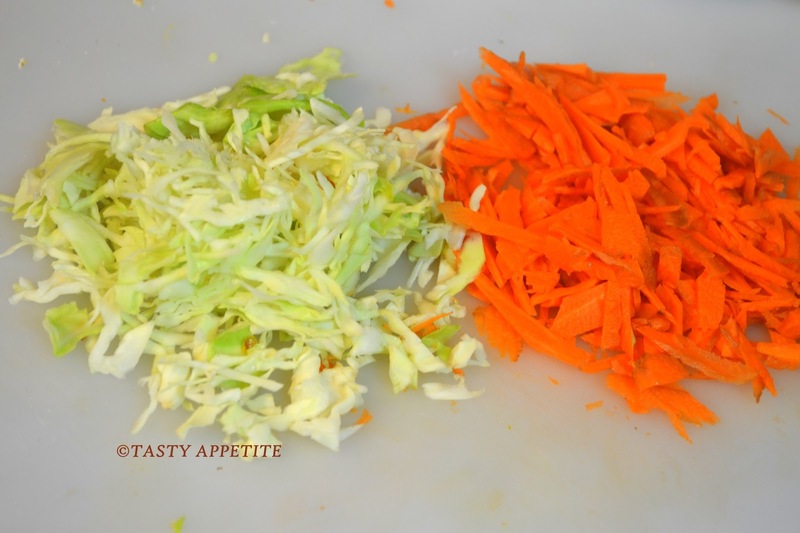 And repeat the same for the rest of the egg rolls. 11. Heat oil in frying pan. 12. 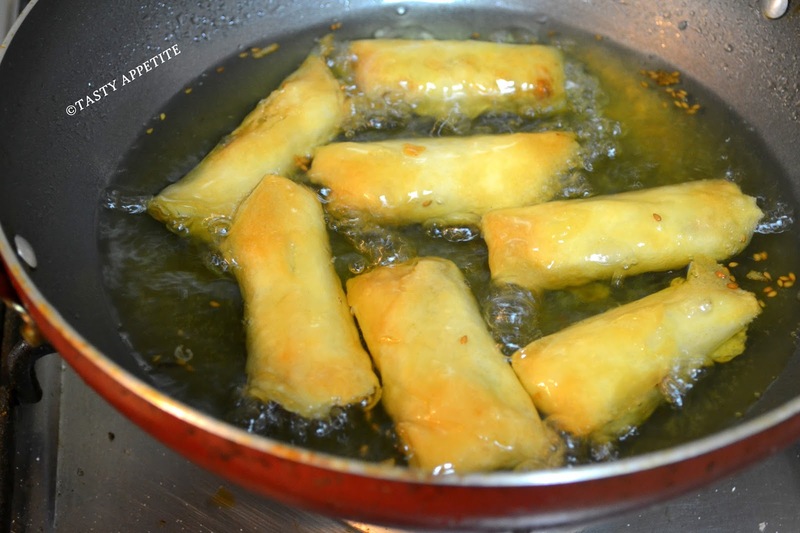 Drop the eggrolls gently in hot oil. 13. 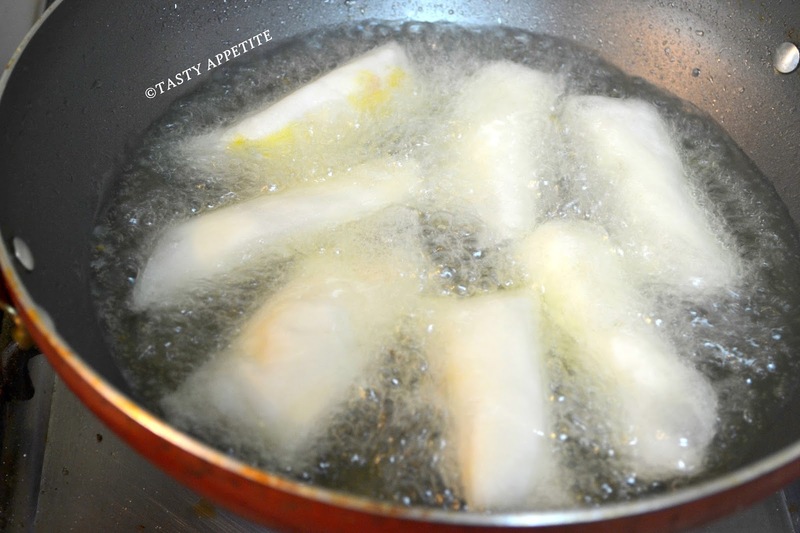 Let them deep fry for 1 to 2 minutes on each side or until they turn crispy and golden brown in color. 14. Once done, drain in paper towel. 15. 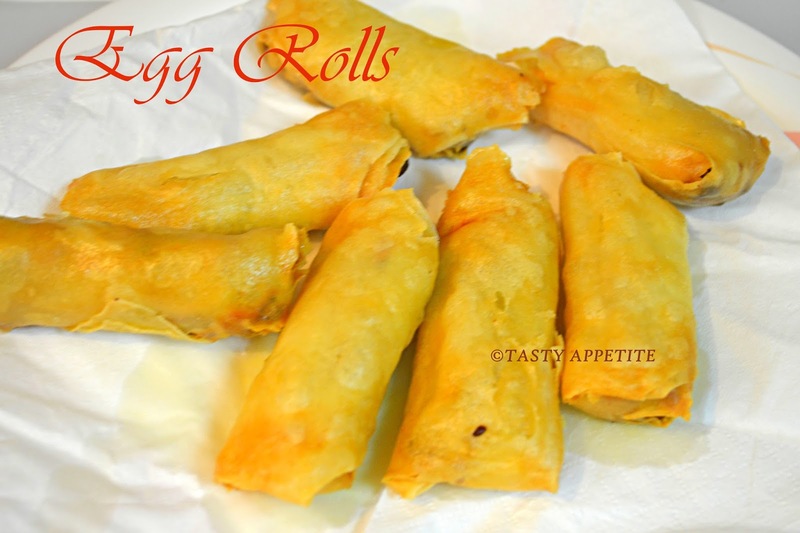 Crispy, crunchy delicious egg rolls are ready. 16. You’ll see them disappear as soon, they’re out of the kitchen. 17. 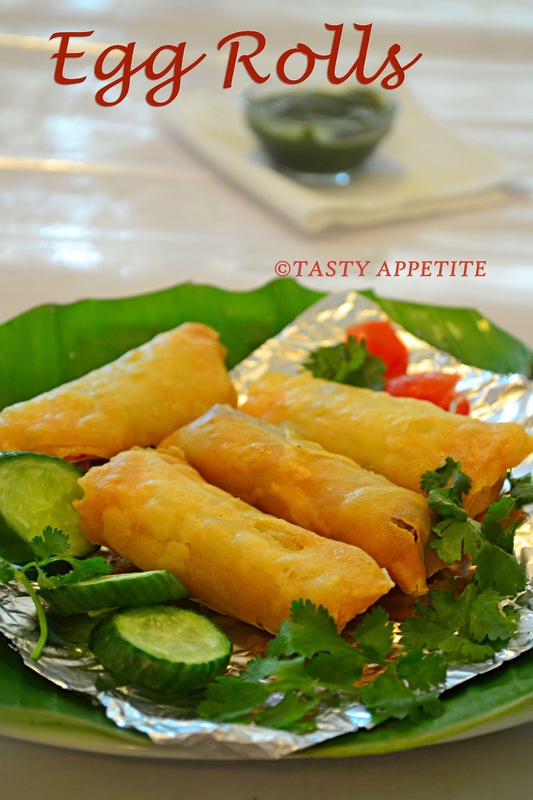 Enjoy your Egg rolls with sweet & sour sauce, tomato ketchup, mint chutney or any dip of your choice. One of the best snacks! And looks much better than frozen or restaurant made! 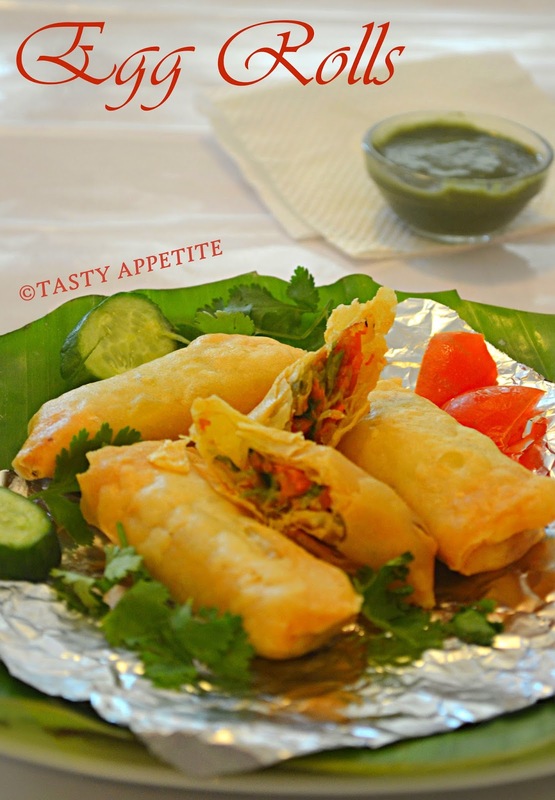 tempting perfect snack to munch on..
woww they look irresistable..yummy !! these look so crisp! perfect! 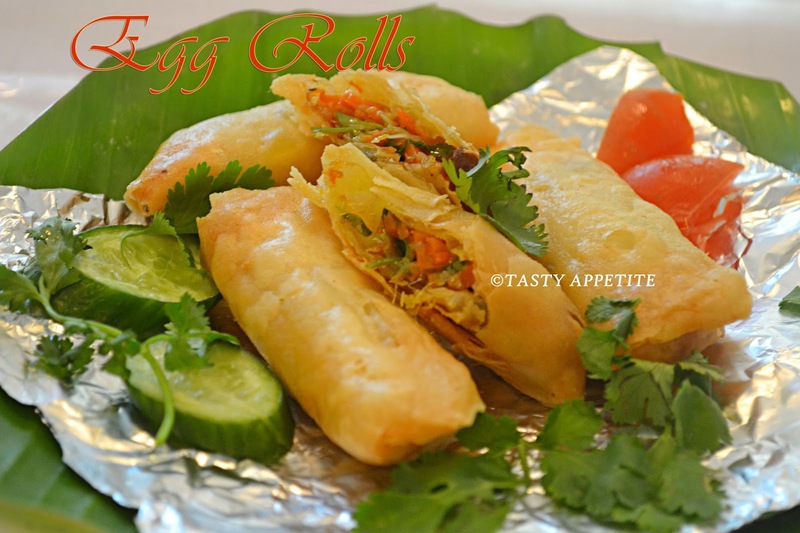 Love egg rolls anytime, looks lovely! Really tempting and anytime healthy snack... thanks fr your link..
wow. very perfect rolls. Yummy.